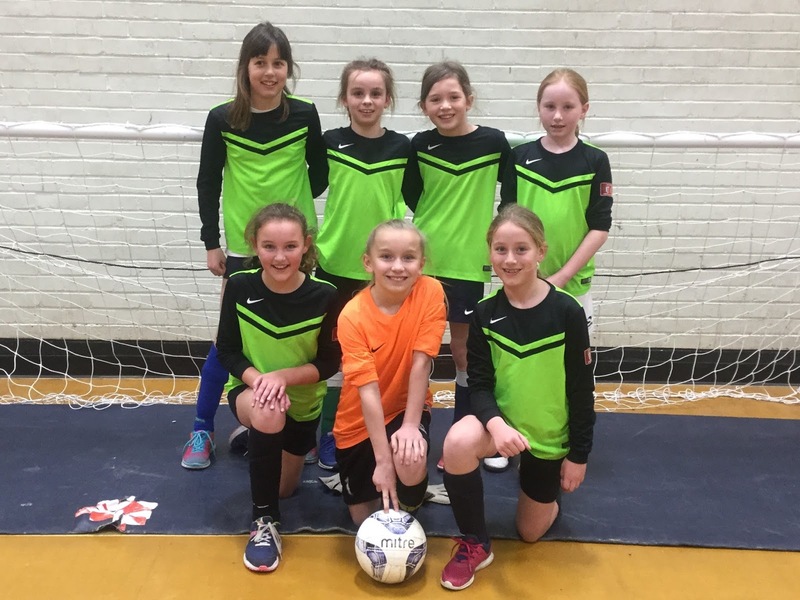 On Monday 27th February 2017, the girls’ football team from year 5 took part in the indoor 6 side football competition at Wantage Leisure Centre. 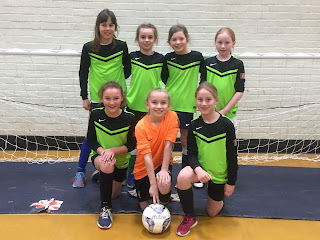 The girls: Rose, Ava, Rubie-Brooke, Lucy, Rachel, Georgie and Mia have been training hard on a Friday after school and their hard work paid off in the competition. Their first match against Stanford was a win 4-0 with all 4 goals scored by Rachel. The second match was played as 5 a side due to St Nic’s not having enough players, again another win for Wantage with a score of 3-0. The girls knew the next match against Charlton was going to be tough match but they didn’t let this put them off and battled right to the end finally winning 2-1. The last match against St James was the final win with a score of 2-0. Results of the competition were announced and Wantage were the WINNERS!